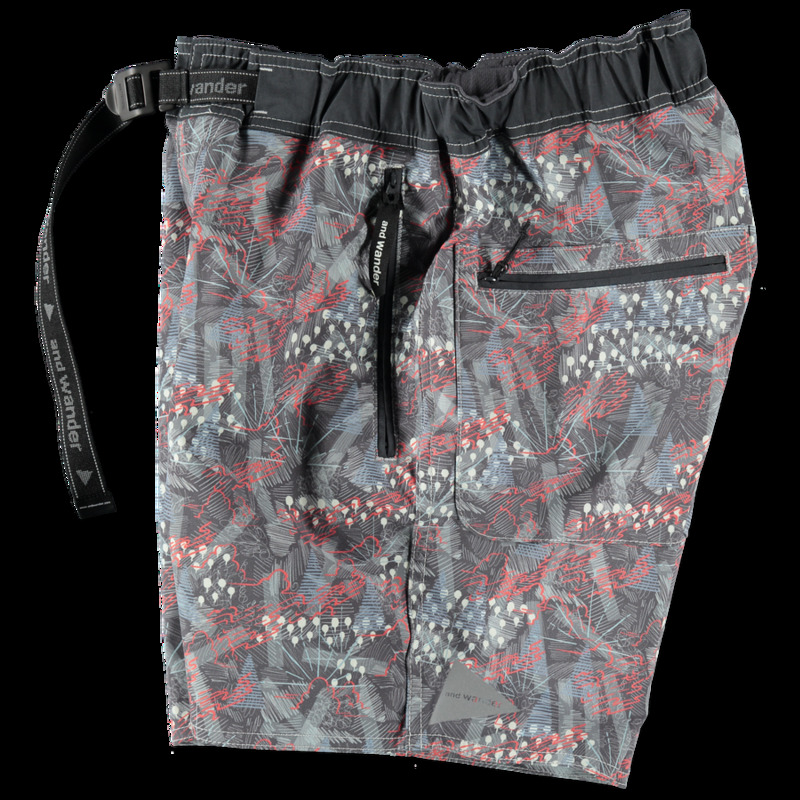 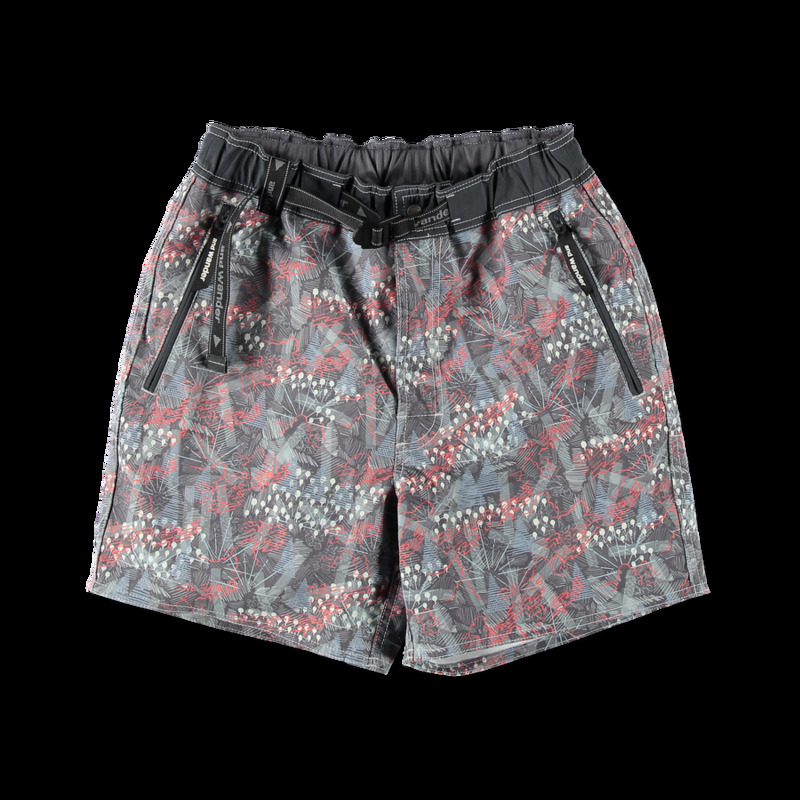 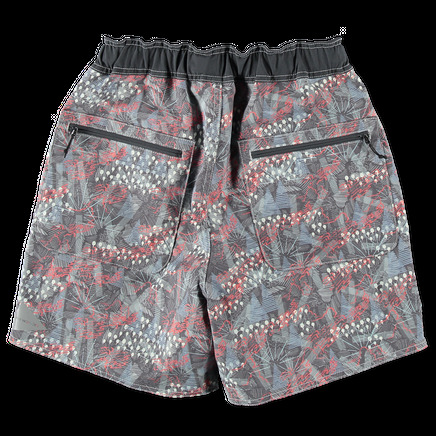 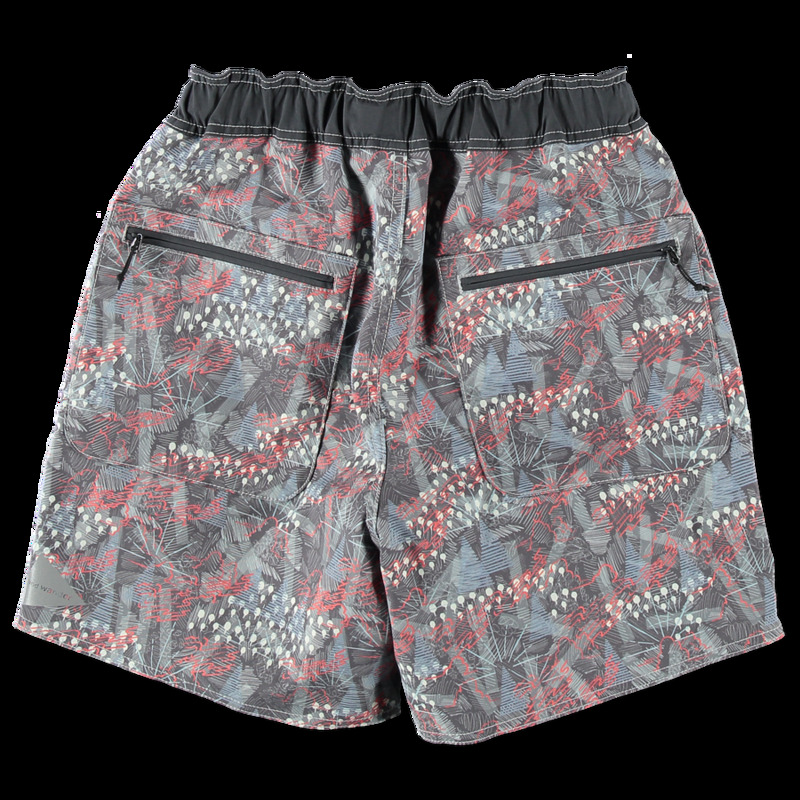 Printed above knee length shorts in a heavyweight polyester Coolmax fabric. Elasticated waist with branded nylon pull tape. 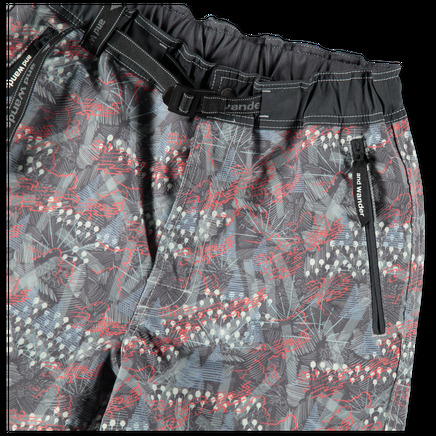 Zip fly and press stud closure. Zippered hand pockets and zippered back patch pockets. 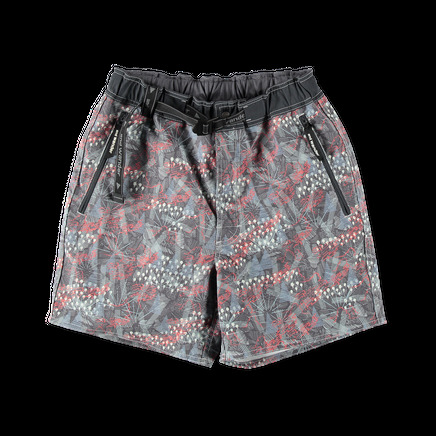 Reflective logo on hem.